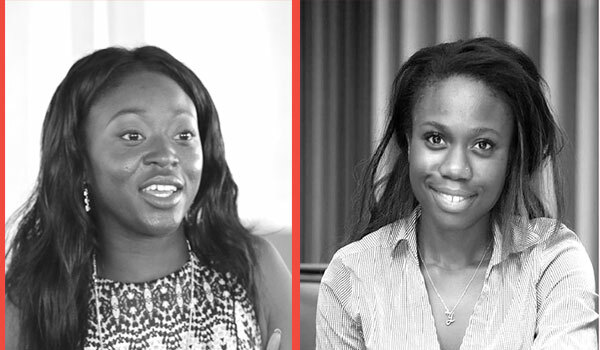 Yasmin Belo-Osagie, 26, and Afua Osei, 28, are co-founders of She Leads Africa [SLA], a Nigeria-based social enterprise that equips female entrepreneurs in Africa with the knowledge, network, and financing needed to build and scale strong businesses. Yasmin Belo-Osagie, left, and Afua Osei, co-founders of She Leads Africa. Ghanaian Afua Osei is a Management Consultant who previously served as a Fulbright Scholar in Malaysia and is a graduate of the University of Chicago with Master’s degrees in Business Administration and Public Policy while Nigerian-Ghanaian Yasmin Belo-Osagie is a graduate of Princeton University with degrees in History and Finance, who is also mid-way through a JD/MBA at Harvard Law School and Stanford Business School Yasmin is also a trained sous chef who worked in the Mandarin Oriental in Hong Kong. In 2014, upon completing her studies in the US, Belo-Osagie returned to Nigeria and being a big believer in female entrepreneurship and empowerment on the African continent, Yasmin together with Afua, who she met at an event in Lagos, seized the opportunity to form their own start-up. They called it She Leads Africa, a platform on which young women across Africa between the ages of 18 and 34 that are Internet-enabled, and have good prospects for their business, willing to grow and want to move on to hire people can come together and share entrepreneurial ideas and to provide support for their ideas and access to professionals who can assist with advice and funding to turn start-ups into major business enterprises. One of the main features of She Leads Africa is the SLA Entrepreneur Showcase. The first was held in September 2014. The organisation offered young women the opportunity to enter their start-up ideas and pitch them in front of other young women and a panel of judges. The winners of the competition, were awarded US$10 000 for first price winner, Second and third place winners received US$5000 and US$1000 respectively, which will be used towards growing their businesses. Another big initiative that SLA hopes to expand is the SheHive, a one-week boot camp recently launched in Lagos where participants learned business skills from marketing, legal, and venture investment professionals, and were able to network and meet and identify potential mentors. She Leads Africa has already recruited nearly 1,000 women-led start-ups into their network, going on 10, 000 in 2015. For a young organisation, SLA has notched some notable points. They hosted the first all female pan-African pitch contest, sponsored eight entrepreneurs attending an Investor Demo Day in Washington, D.C., established a partnership with Intel to conduct workshops for tech entrepreneurs, begun negotiations with Nigeria’s largest bank to create a low-interest lending program for female entrepreneurs, and started work on an online education platform that will feature African case studies taught by business experts. Aliko Dangote, Africa’s richest man, has earmarked $1m in low-cost loans for start-ups under the SLA umbrella, the founders were named amongst Forbes’ 20 Youngest Power Women in Africa with features in a number of reputable publications including Forbes, Black Enterprise, Fox Small Business, Fast Company, and Ventures Africa. Yasmin and Afua hope to continue expanding their reach throughout the continent with the SheHive and with She Leads Africa as a whole in years to come.